This special Boiler Room livestream finds Hesher and Truth Hound, Mark Anderson doing a Bilderberg 2018 post mortem discussion which leads to an even more interesting topic... how to GET RID of the secretive, influential and potentially illegal privatized global governance conference known as Bilderberg. We continue the series of ACR Braintrust explorations of the immigration hysteria in the media with ... See More Mark Anderson on this episode. Don't get sucked into the MSM hype! 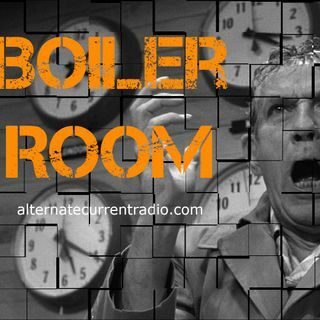 Boiler Room has you covered for the common sense approach to the issue, join us for this entertaining and informative live radio broadcast of Boiler Room on ACR. Awesome interview! BTW, Sheryl Atkinson’s contract was not renewed by CBS largely due to her reporting of The Fast and the Furious gunrunning operation.